It seems like Sprint barely released their own budget 4G phone, and Verizon have come up with their cheap 4G option to balance the equation, and your wallet. The Pantech Breakout seems like a better phone than the Samsung Conquer 4G on paper, and they both cost the same — $100 after a $50 mail-in rebate and on a two year contract. So, if you're looking for a large, 4G capable Android device, is the Pantech Breakout worth your time and money? Does it have all that you wish for and desire in an Android device? Let's find out, shall we? A sturdy Android phone is a rarity. 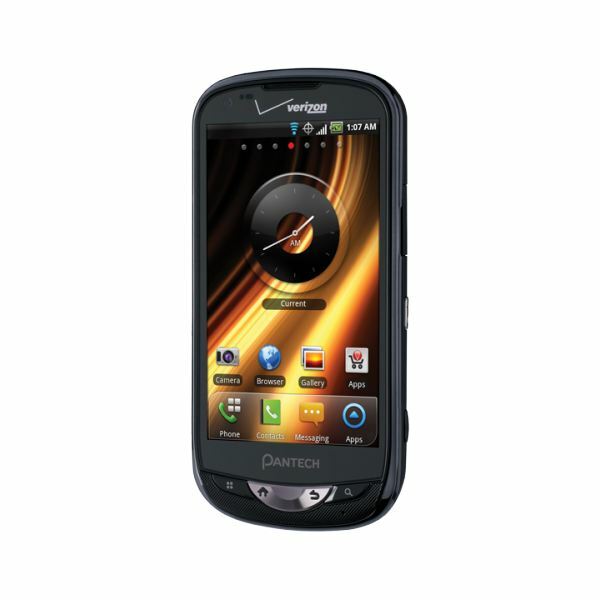 Outside of HTC and the Casio G'zOne Commando, most Android phones are prone to easy breakage. It seems the Pantech Breakout is an exception to the norm in this respect, its all plastic build feels very sturdy and tightly fitted together. If you drop your phone more often than not the Breakout is the type of phone suited to such accidents. The back is indented to comfortably fit the palm, while the plastic is matt, therefore it's not going to slip either. The phone weighs a very heavy 4.86 oz (138 g) and with dimensions of 5.00 x 2.53 x 0.47 inches (127 x 64 x 12 mm) it's not the slimmest Droid around either, nor will it flatter in skin tight jeans. The phone's screen is a capacitive 4.3 inch WVGA screen with a resolution of 400 x 800 pixels and is capable of supporting 262,000 colors. The screen looks sharp but slightly drab, as if it's missing the "X" factor to give it the final colorful brilliance. But it is a satisfactory screen nonetheless. The half-moon design of the Settings, Home, Back and Search keys is very unique, and the metal chroming of the Home and Back keys provides a very "cool" feel to the whole phone. Above the screen we have the VGA front facing camera, proximity and light sensors. All peripheral buttons are on the sides. The left side holds the 3.5 mm headphone jack, the volume rocker and the voice command buttons. The right side holds the amazingly fragile and limp microUSB port cover, even a small tug is enough to break it off. Then we have the Power/Lock button and the camera shutter key. 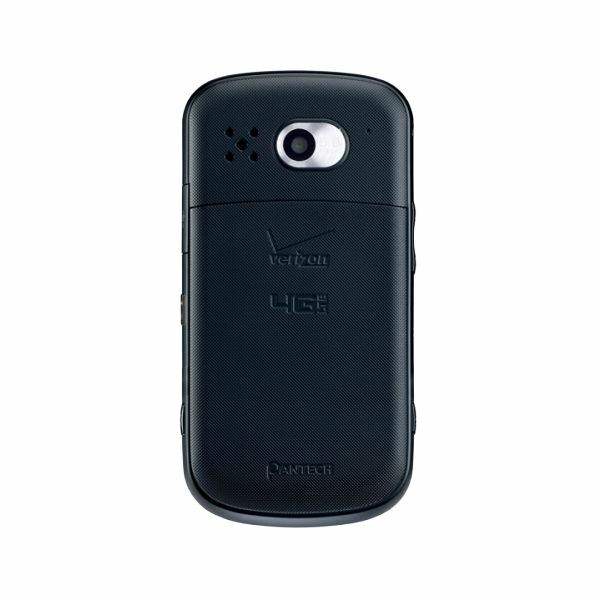 The back holds the loudspeaker and 5 MP camera — there's no flash. Pull off the back cover and you'll find a microSD card slot with an 8 GB card pre-installed and the SIM card slot. Unlike the Conquer 4G, the Breakout sports a heavily modified UI over Gingerbread 2.3.3. Initially you can swipe to unlock, or slide to unlock, if those methods do not float your boat then you can use the "drag an app" ripped from HTC's Sense 3.0 UI. In this case you can drag the Mail, Camera and Contacts app onto the screen's center to unlock — you cannot customize these apps. Another interesting UI overhaul is the drop down bar, you get the usual icons such as network, Bluetooth, etc. But press a small button and a second row of options pops up beneath the first row, you can customize both rows as you wish. But one problem persists, both on the lock screen and drop down bar — the lack of direct controls for the music player. In the drop down bar there is a shortcut that takes you directly to the music player and the lock screen has nothing at all. You do get a musical widget on the home screens though, all seven of them. You can pinch-to-zoom to bring all of them into view (ripped off from Samsung). Pinch the other way around and they'll all disappear. The entire UI has a cartoon like feel to it, so if that's a turn off keep away. Otherwise the apps drawer swipes sideways, just like on a Samsung device. You can edit, create files and hide apps, which becomes essential later on. Otherwise all the essentials are here, limitless phone book entries, photo, video, audio and IM tagging, a default Swype keyboard, Gmail and any other mail service you would like it have on hand. The UI does work swiftly and smoothly most of the time, but unlike the Conquer 4G there is an ever so slight stutter or lag from time to time, especially if you exit a task intensive app and don't give the phone about two seconds to gather its wits. So, with download speeds of about 8.9 MB/ts and upload speeds of 5.5 MB/ts, this is indeed a fully certified 4G phone. Verizon's LTE network is one of the best, and most widespread, so you'll probably always have 4G coverage at your disposal, but just in case you end up in a 3G zone, you have EVDO Rev.A on demand to keep things fast and steady. As for calling, that's handled by the CDMA 800 and 1900 frequencies. Local connectivity is handled via Bluetooth 3.0, DLNA, Wi-Fi and of course microUSB 2.0. The engine in charge of powering the Breakout is a single core, second generation, 1 GHz Qualcomm Snapdragon processor. With 512 MB of RAM and 3 GB of internal memory, though only 390 MB of it is available to the user. The pre-installed 8 GB card more than makes up the difference. The 5 MP camera is pretty good. The lack of flash is a bit of a letdown, but otherwise, it is still a better snapper than the Conquer's 3.2 MP camera. Pictures turn out clean and clear, with good color retention. The only flaw is the slight presence of a "ghosting" effect. The auto focus can be done manually or on the spot if you're trying to capture a Kodak moment. Other options include white balance in auto, outdoor, cloudy, fluorescent, and glow modes and color modes include normal, mono, negative and sepia. There's also the option to select image resolution and there are 11 different scene modes. The camcorder can shoot 720p HD video at a maximum resolution of 1280 x 720 pixels. Videos are about average in terms of quality, though you have to shoot videos slowly and hold relatively still to get the best quality. There's not much in the way of anti-shake software on the Breakout. You can share videos over DLNA or microUSB if you have the proper adapters, there's no HDMI though. The music player is not a stock Android player in this case. Pantech have indulged in their own music player. Which is almost entirely blue in color. Is it better than the Stock Android player? Well, it's about the same and then slightly less, the album cover looks like a cover flow copy, but only switches when a track is changed, and there are no equalizer settings either. Though on the upside, file support is amazingly wide, as you can play the MP3, AAC, AAC+, eAAC+, WMA, WAV, AMR, OGG and MIDI formats. The video player on the other hand, will only play WMV, 3GP and MP4 videos. Those of you pinning your hopes on DIVX/XVID support are in for some disappointment, I'm afraid. Though you can play 720p HD videos without a hitch. Now for features, quick question, do you hate bloatware? Then you will loathe the Breakout with every fibre of your being. Remember earlier in this section when I noted that you can only access 390 MB of the available 3 GB memory? That's because most of the internal memory has been taken up by proprietary apps and other bloatware. It's that rampant. All in all I counted over 35 apps, if the Breakout was aiming for some sort of bloatware record, I think they got it. Can someone call Guinness? Anyway, a basic run down of apps courtesy of Pantech goes like this — Amazon Kindle, Blockbuster, City ID, Lets Golf 2, Converter, DocViewer, Guided Tours, Handy Memo, Mobile IM, NFL Mobile, NSF Shift, Rhapsody, Slacker Radio, Tip Calculator, TuneWiki, and Nuance Voice Control. Those are just Pantech apps, Verizon were kind enough to provide the likes of VCast Music, VCast Tones, VZ Navigator, and Verizon Video apps. Add to the above list the norms such as Google Maps, Gtalk, YouTube, Doc-viewer, JAVA, GPS, calculator etc. and you'll never be short of apps, ever. Did I mention the clincher? You can't delete any of the proprietary apps. As a consolation for bloatware haters, you can create a folder in the app drawer and then dump all of the bloatware inside it. We shall now proceed to test the phone's call quality, browser prowess and battery life strength. Let's see if the Breakout has what it takes to stand toe to toe with the Conquer 4G. As for quality, the Conquer is definitely the better of the two. Calls on the Breakout are loud, but it seem like callers shout every syllable, and the volume tends to plunge rather suddenly in the middle of a conversation. So overall you have to pay close attention to calls while watching out for loud syllables. It's virtually the same story on the loudspeaker. As for the browser, it's about average, and the slowest I've reviewed so far on a 4G network. It takes about 45 seconds to load a heavy site with a healthy amount of Flash content, and a site such as Bright Hub takes about 20 seconds to load. Mobile optimized sites load in about 6-7 seconds. The pinch-to-zoom function works very well, unless you over do it — pinch-to-zoom in a hurry and you'll notice micro seconds of lag. The 1500 mAh Li-Ion battery can power the phone for about 10 hours on average use, while taking a nose dive down to 4 hours on super heavy usage, such as playing 3 hours of an HD movie then playing a heavy Flash game. Otherwise you can garner 7 hours on medium use. Talk time is about six hours. The Pantech Breakout has its plus points when compared to the Samsung Conquer 4G, such as a better and bigger screen and a better camera. It also has its minus points when compared with the Conquer, such as its call quality and browser. Since they both cost the same and have almost the same specifications internally, it's really down to what you prefer in a smartphone. If a bigger screen and a better camera are what you prefer, then it's the Breakout, if you prefer good call quality and a faster browser, you're better off with the Conquer. And of course there's the matter of that record breaking load of bloatware, but you also get a sweeter deal for your $100 with the Breakout. 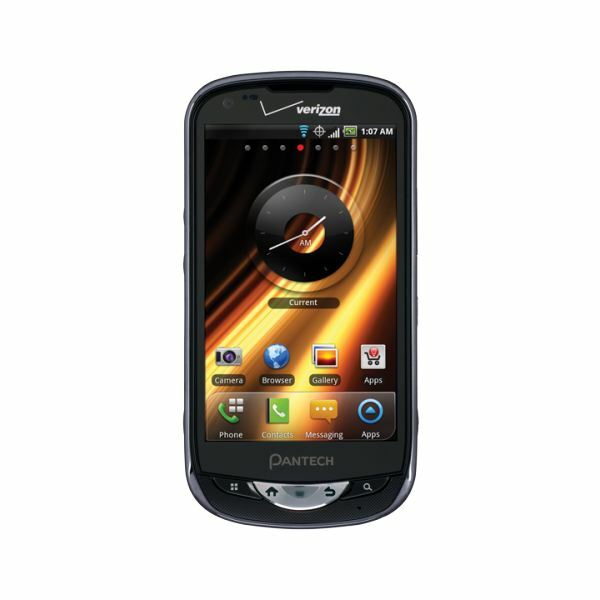 So if it purely comes down to value for money, the Pantech Breakout is by far the best deal you can land for a 4G phone.